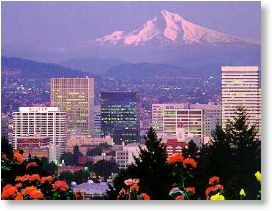 in the heart of Portland's City of Roses. Come in and try the best noodles you have ever tasted! All of our noodles are made with fresh organic ingredients. Eric Van has emerged as one of the top chefs in Asian cuisine. Indo Chinese cuisine and earned four stars from the World Times. In the summer of 2003, Eric decided in was time to branch out. Oodles of Noodles, which featured noodles as its specialty. Check this section for Exotic new recipes. 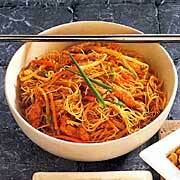 This week's recipe is on Singapore Spicy Noodles. Check this web page for unique and interesting stories or recipes on food from around the world. This week we will be featuring a dessert recipe on Caribbean Sorbet.